Our A-Z pregnancy downloads make it easy to be prepared and organized during your pregnancy. Check out our most popular charts and checklists! Keep track of your health information, doctor's notes, and tally baby's growth with this helpful chart. Important questions to ask to ensure your choice for a pediatrician will be a perfect match to your family. Questions to carefully consider when you're planning time away from work after baby arrives. 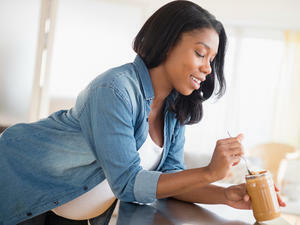 Log your pregnancy milestones and emotions to enjoy and share after baby is finally born. List your favorite baby names here to make the momentous decision a little easier. Our list will help you pack all the essentials, so you can feel comfortable during chilbirth. Journal the good, the bad, and the completely ridiculous advice you receive while pregnant. Record your emotions and loved ones' reactions to make your labor even more memorable.